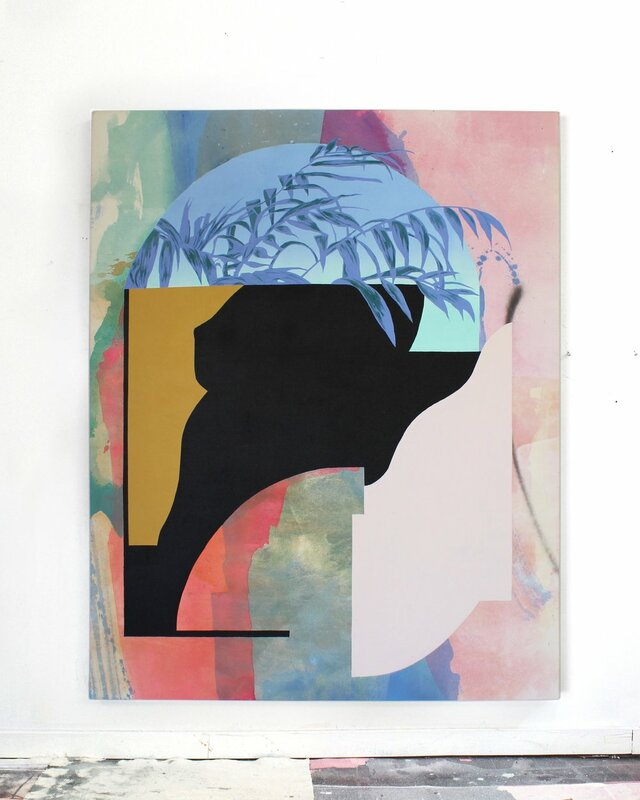 Kathryn MacNaughton interweaves figurative painting with a combination of abstract expressionism, geometric abstraction, and even conventions of the painted still-life into one poetic statement. These forms of figuration and still life have been flattened, like their more abstract counterparts, to face the frontal plane of the canvas. In this sense, the canvas - and the analog process of the painter's hand - references the computer screen and the digital touch, where these pieces originally begin to take their shape.